Mr. Air Heating and Air Conditioning, Inc.
Midwest Roofing & Furnace, Inc.
Northland Heating & Air Conditioning Co., Inc. Comment: Need AC window units installed. Could do myself, but currently have tenants and I figured you guys could do it much quicker than me and disrupt them less. If the price is too high though, I'll probably just do it myself. Thank you. Comment: install new 2 ton air conditioning unit and dispose of old unit. Comment: Hi - I am interested in receiving quotes for installing a ductless system in my house. 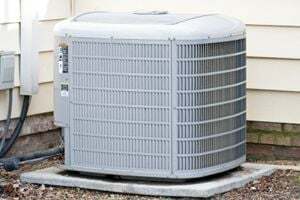 Comment: I need a new AC unit. I have an electric furnace that was replaced in November. I have a Condo that backs up into a creek. The only way to get to the unit is to come through the house and back outside. There are steps that you can walk down or the unit could be hoisted over the deck. Comment: Install new air conditioning unit *Add duct installation to the garage/den. Comment: Small 3 level condo. Columbus HVAC & Air Conditioning Contractors are rated 4.72 out of 5 based on 1,314 reviews of 31 pros. Not Looking for Air Conditioning Contractors in Columbus, OH?